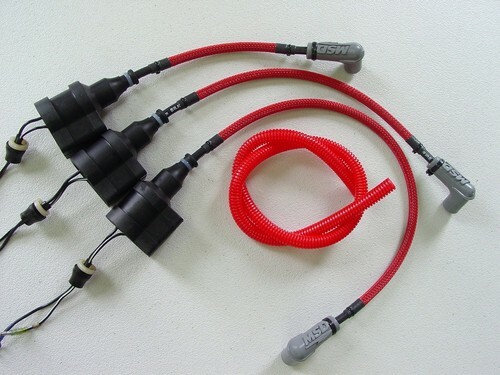 GP1100 LS 2000 GP1200 Spark Plug Wire Replacement service. Black, blue and red cable available. 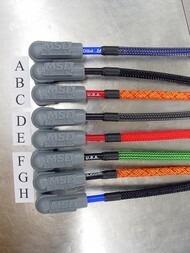 See photo below for braid colors. The original and the highest quality cable replacement system available anywhere. BE SURE TO SCROLL DOWN TO SEE ALL PHOTOS! Available with Red or Black braid. NOTE: coils not included, just new wires on your exsisting coils.